'Plan B', 'Old Idea' Are Hit With Netizens! Pawan Kalyan films are synonymous with some catchy & witty one-liners. 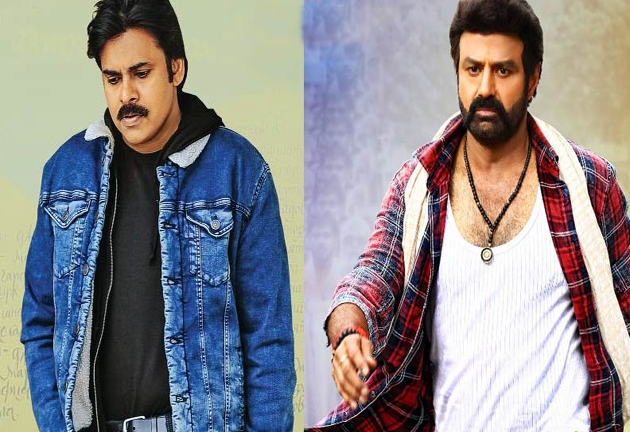 The impact will be more when Pawan teams up with Trivikram. We all know that Trivikram pens wonderful dialogues for Pawan. The highly anticipated 'Agnyaathavaasi' released recently and it has some witty one-liners that struck a chord with the audience. Surprisingly, these dialogues are used by netizens to troll the film as it gave a shock to the audience. One of the key concepts in the film is that 'If pan A doesn't work out, We have to go with Plan B'. Netizens are saying that As Agnyaathavaaasi(Plan A) didn't work.. so the audience have to go with Jai Simha(Plan B). Some of them or adding that 'B' in the Plan B stands for Balayya! On the other hand, there is another interesting dialogue in the film that "If one doesn't get a new idea, he has to follow the old idea." Netizens are trolling the film by suggesting the audience saying that the 'Agnyaathavaasi' (New idea)is not that impressive so, the audience should go with Attarintiki Daaredi (Old idea)by watching it on YouTube.